A woman who witnesses said appeared to be blind fell between two cars of a new train Friday morning. While it is not certain that a lack of protective barriers contributed to this particular incident, it is a problem Metro has been warned about before. WASHINGTON — When Metro’s new 7000 Series trains pull into a station, the space between cars can appear to be the same as an open door to visually-impaired riders. On Friday morning, a woman who witnesses said appeared to be blind fell between two cars of a new train at the Van Ness station. While it is not certain at this point that a lack of protective barriers to keep blind and visually-impaired riders from accidentally falling onto the tracks contributed to this particular incident, it is a problem Metro has been warned about before. Metro had initially promised to install the protective safety barriers — which are simply chains between all 7000 Series cars, similar to those that have always been on older rail cars — by last year. The transit system then pushed back that timeline. Metro had also said in the past that further deliveries of the cars — which would now have accounted for a significant portion of the fleet — would have the barriers installed at the factory in Nebraska. The promises came after disability-rights groups and federal safety experts raised concerns, and at least two people fell between rail cars onto the tracks. The 7000 Series cars, as originally designed, only have the chain-link barriers every other car, with different rubber bumpers farther from the platform separating each pair of cars. The design change was meant to make shuffling cars around in rail yards easier, and Metro has said it was within Americans with Disabilities Act guidelines. Metro had agreed to add the safety barriers anyway, after the concerns from disability-rights groups and the Federal Transit Administration. 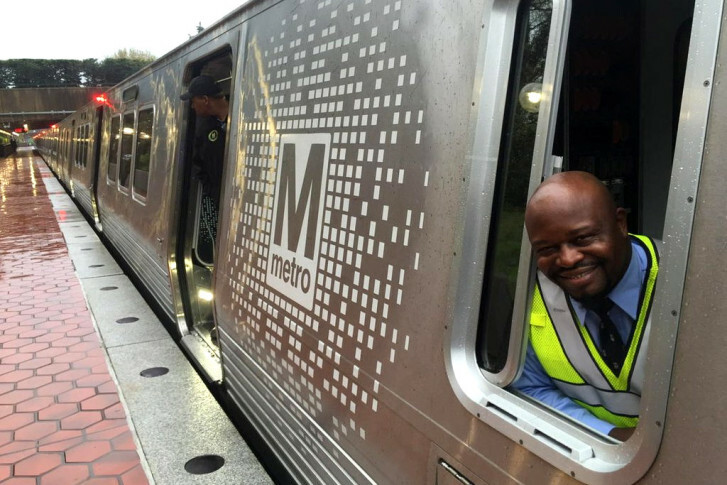 Metro now has more than 500 of the new train cars running in eight-car sets across the system. The woman who fell Friday was not seriously physically injured. Single-tracking around the incident created Red Line delays from shortly after 8 a.m. through the end of the morning rush hour.